A little bit of background for those of you who aren't familiar with Luciano's story. Luciano is a convert to the church and was involved in a tragic train accident over a year ago that cost him both his right arm and right leg. Read my previous blog post for more details. Or watch a short video story about Luciano. After the MMM blog post and a follow-up BYUtv broadcast, there was an incredible outpouring of support. Helpluciano.com raised close to $30,000 in one week! Support continued to grow and we raised not only enough money to get him prosthetics for the rest of his life, but a couple very large donors (who chose to remain anonymous) pledged to sponsor him along with his father to come HERE, to the United States, to be outfitted with top-of-the-line prosthetics and up to six months of rehabilitation at Loma Linda Children's Hospital in California. After a surprisingly long and difficult legal battle, Mauricio and Luciano were finally granted visas to travel to the United States. We immediately booked him and his father flights and they are here! We are taking care of them in Seattle until January 6th. Today I took them to visit downtown Seattle, which is very different than Chiguayante. Luciano is extremely upbeat and optimistic as usual. 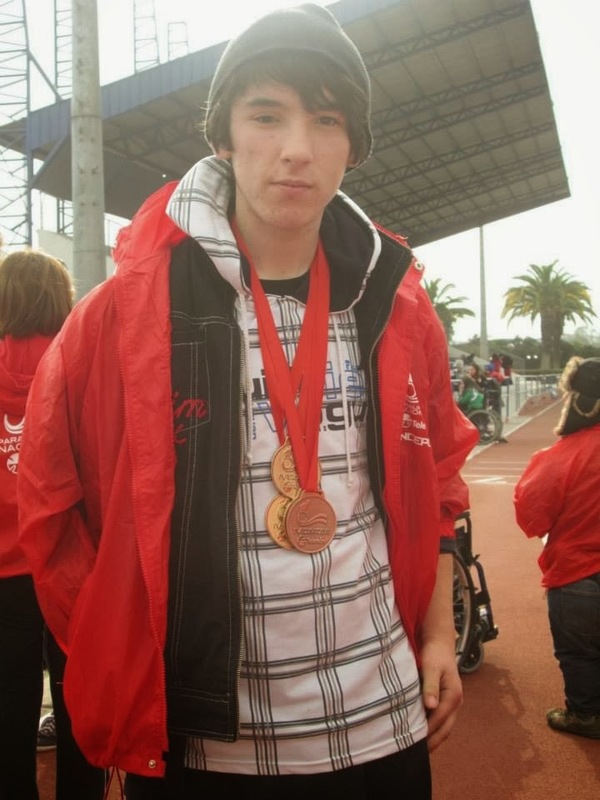 He was involved in the Paralympics in Chile and won two gold medals and a bronze. He still goes to church by himself every Sunday and reads his scriptures everyday. I'll be tweeting (@realSamNelson) about Luciano's Christmas vacation if you want updates, then will hopefully get him set up with his own Twitter account soon so you can follow him for the months in California. Thank you to everyone who helped make this happen. It is truly a miracle after his horrifying experience of losing an arm, leg and eye. The scariest part has to be … what happens next? Wheelchairs/crutches are useless without an arm and prosthetics cost more than your house. An army of 400+ people/families came together and completely changed his life.